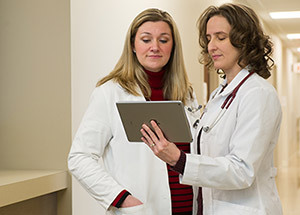 Medical Specialists of Johnson City (MSJC) physicians are dedicated to providing compassionate care. We are part of State of Franklin Healthcare Associates (SoFHA), a progressive, patient-centered system of medical practices serving Northeast Tennessee, Southwest Virginia, and Western North Carolina. Our rheumatologists are trained to identify and treat the causes of musculoskeletal pain and swelling, including autoimmune connective tissue disorders. Arthritis, gout, and ankylosing spondylitis are just three of the more than 100 types of rheumatic diseases. You don’t have to be affiliated with SoFHA to use our sub-specialty services. However, if you already see another SoFHA physician, we have access to your medical records, making your visit more efficient and effective. We also offer FollowMyHealth® Patient Portal, a secure, online application through which you can keep track of your own progress and medical history. Our physicians are board certified in their respective specialties and keep abreast of all new research and treatment practices, such as using immune modulation therapies in addressing rheumatic. As part of SoFHA, we also have easy access to a variety of services, including a lab, physical therapy services, an imaging department, plus walk-in and diabetes clinics. On occasion, our patients need “infusion therapy” or intravenous (IV) therapy when medications may cause unpleasant side effects if ingested or are too large to be taken orally. Our infusion suite is conveniently located next door to MSJC in a special Acute Care Clinic (in same building with Johnson City Internal Medicine), also operated by State of Franklin Healthcare Associates. Staffed with an experienced medical team, this clinic provides a private, comfortable environment for receiving infusion therapy, which may require as little as 15-30 minutes or last as long as 4-5 hours. Dr. Falasca joined MSJC in 2011 with 23 years of experience in rheumatology. Previously, he served as chief of rheumatology at Cooper University Hospital in Camden, New Jersey. Dr. Falasca treats adults and older adolescents with different types of arthritis and other rheumatic diseases, such as lupus, Sjogren’s, and connective tissue disease. He has a special interest and expertise in crystal-induced arthritis, such as gout. 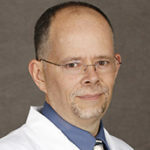 Dr. Baker joined MSJC in late 2011 with 17 years of experience in rheumatology. 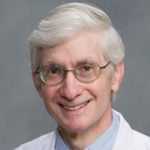 He is a graduate of the University of South Carolina School of Medicine and previously owned a rheumatology practice in Sparta, Tennessee. 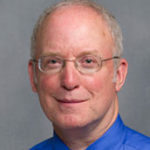 Dr. Baker treats adults and older adolescents with different types of arthritis and other rheumatic diseases, such as lupus and connective tissue disease. Summer Hopson is a native of Erwin, Tennessee, and joined MSJC in 2014. She holds a Master of Science in nursing/family nurse practitioner degree from East Tennessee State University (2013) and is board certified through the American Academy of Nurse Practitioners. Summer is also certified through the American College of Rheumatology. Previously, she worked for 11 years in the intensive care unit at Johnson City Medical Center. Since a small child, she feels she has been called by the Lord into healthcare and wants to be a blessing and help to patients each day. She works with adults and older adolescents who have different types of arthritis and rheumatic diseases. Melissa Parrish is a native of Bristol, Tennessee, and joined the MSJC team in 2013. 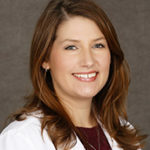 She holds a Master of Science in nursing/family nurse practitioner degree from East Tennessee State University (2013) and is also board certified through the American Academy of Nurse Practitioners. 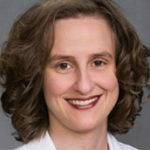 In addition, she is certified through the American College of Rheumatology and holds bachelor’s degrees in both nursing (King University) and biology (Carson Newman University). Previously, she worked for several years in cardiac care and intensive care units. Married with three sons (including a set of twins), she enjoys keeping up with her children’s activities, activities at church, and her hobbies of photography and needlepoint. Ashley Stewart is a native of Gray, Tennessee and joined MSJC in 2018. She holds a Master of Science in Nursing/Family Nurse Practitioner degree from East Tennessee State University (2018) and is board certified through the American Academy of Nurse Practitioners. 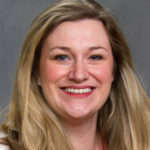 She is a member of the American Association of Nurse Practitioners, the Northeast Tennessee Nurse Practitioners Association, and the American College of Rheumatology. She has worked at the Johnson City Medical Center in Labor and Delivery and has been a part of the State of Franklin Healthcare team for the past ten years working at the Walk-In Clinic. Ashley feels like working in healthcare is a true calling and looks forward to establishing ongoing relationships with patients while being a part of their health care team. When not working, she enjoys spending time with her husband and three sons, being involved in church activities, and traveling. Tommy relies on his faith, diverse background and extensive experiences when providing care to his patients. Tommy was raised in Bristol, TN and joined MSJC in 2018. He is a Combat Veteran of the US Army, where he served as an Airborne Paramedic. Tommy attended King University, where he obtained a Family Nurse Practitioner in 2015. He is a member of the American College of Rheumatology and American Association of Nurse Practitioners. Tommy attends Celebration Church. He feels blessed beyond measure to have always known God’s “calling” for his life and the opportunity to fulfill that calling by making the difference in at least one life every day. He, along with his wife, Tracie, serve others on international medical missions to Belize. He credits his faith in Jesus Christ, his wife and family for the support and prayers that have allowed him to become the Provider he is today. Please discuss a referral to our office with your Primary Care Provider. He or she will determine if we need to join your healthcare team. To make an appointment, please contact your primary care provider to get started. You don’t have to be a SoFHA patient to use our services. If you’re scheduled to consult with one of our providers, please complete the appropriate New Patient Packet at the link below and bring it with you to your initial visit. If you’re unable to print the paperwork and complete it before your appointment, please arrive 1 hour early so you can complete the forms before your scheduled appointment time. To schedule an appointment, please call 423-794-3040, option 1. One of our friendly Patient Service Representatives will be happy to assist you. Established patients may be required to complete pre-visit questionnaires provided below. These allow our physician to identify changes since your last visit that may impact your treatment. If you prefer to complete these forms at the time of your appointment, they will be available at check-in. Medical Specialists of Johnson City strives to provide excellent, quality care to every patient in a timely manner. In an effort to provide care when you need it, we have updated our policies on missed or canceled appointments and patient discharges. We try to be good stewards of your time and ours. Established patients arrive at least 15 minutes prior to your appointment. Should you be running later than 15 minutes past your appointment time, we may consider this a “no show” but will make an effort to see you. New patients arrive 1 hour early to register and complete paperwork. If you have already completed your paperwork please arrive 45 minutes early. We never want to say goodbye to a patient, but sometimes circumstances cause us to determine our relationship isn’t working the way it should. If you miss or “no show” appointments three times, you are not receiving the frequency of care you need nor are we able to use that time for another patient in need. At that point, you will be asked to establish with another provider for your care.